Are you stuck in your troublesome relationship? Do you want to find the crucial advice on gaining someone’s heart? If you want to get some best solutions to your romance, it’s a great chance to relax and relish a free true love Tarot spread reading. Well, don’t be hesitant to spend a moment on concentrating on your questions that you want to receive the answers. The more effective you focus on your concern, the more insightful and powerful your reading will be. Hence, try to remove negative thoughts in your mind to obtain any answer you can get. 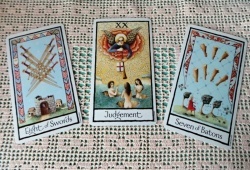 In general, a love Tarot card reading has a tendency to mention the past issues, reflect the present moment or even show you some feasibilities for events-to-be. Furthermore, the Tarot card deck is described as the spiritual bridge between the conscious mind and intuitive self. In other words, finding a true love via a Tarot spread reading will give you a divine medicine so that you can dismiss dark clouds of confusion and fear. Start shuffling the Tarot deck, pick up 3 cards randomly and place it on the table. The first card is placed the left side and symbolizes the past. 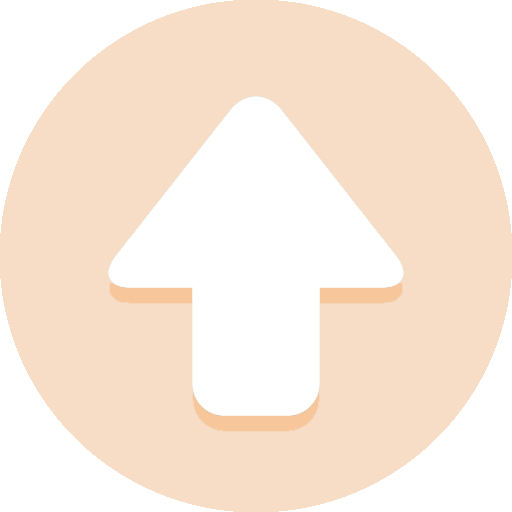 The second one is placed the middle and mentions the present. 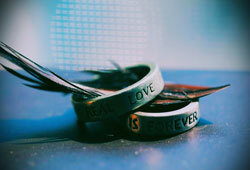 The last one is placed the right side and represent the future. Let’s consult a typical example for this spread below! Can we use a Regular Deck of Cards as Tarot Cards? If so, then how? The Hermit – You should know that you will have a chance to acquire an insight into the God. Besides, this card highlights some major aims that you should concentrate. But, be careful because the way to success is not easy. Truly, the meaning of the past time seems a clear thing. However, when looking back, you can comprehend clearly to give good solutions in the current time. 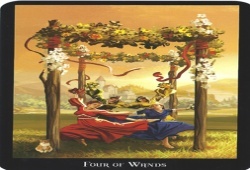 Five of Wands – This card represents some disagreements that are going on at the current time. Hence, you should take more time to work with it and look for the best way to solve. 10 of Cups – This card symbolizes an enduring loving relationship. How such a good card for your love! Look at the image of this card and then you can see a blissful couple and their pretty children are looking towards a bright path. Be free and pleased to send us all questions you want to know about “Free True Love Tarot Spread Reading” in the box below instantly! Wait for 1 day and get our helpful answers!